A colloguial term meaning, "just kidding." It underlines a pun. It downplays a scathing statement to jest. 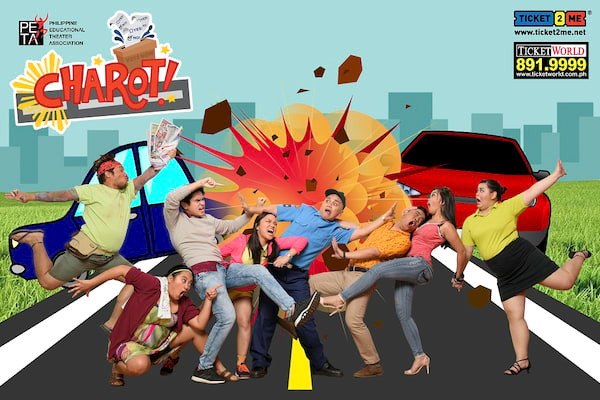 It introduces a dynamic cast of newcomers and veterans: Jack Yabut as Papsy, Teetin Villanueva and Gardo Vicente as Millennial Girl, Bene Manaois and ABS-CBN Star Magic’s CJ Navato as Millennial Boy, Meann Espinosa as Tita Mary Grace, Sister Joy, and Karen De Villa, Kitsi Pagaspas as Nanay, Jason Barcial and Roi Calilong as Boss, Gio Gahol and Lemuel Silvestre as Beki Car Pool Driver, Gold Villar-Lim and Jimma Nariz as Grethel Tuba, Icee Po and Rhapsody Garza as Super Mall Saleslady and Norbs Portales as Street Vendor. 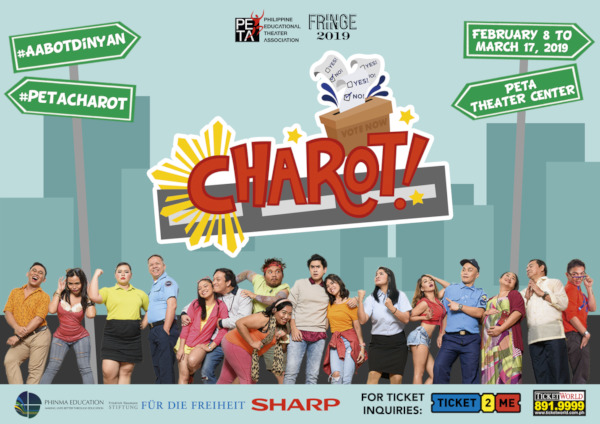 For ticket purchase, call Philippine Educational Theater Association (PETA) +632-725-6244.